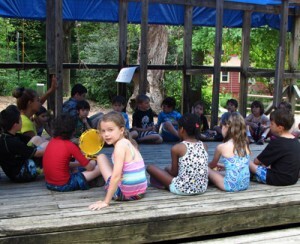 Music time is a time for campers to explore the art of making sounds. Campers get to learn important teamwork skills while hearing their own musical creations come to life. Activities include beat-boxing, instrument making, loop stationing, and memorizing — not to mention plenty of clapping, singing and creating.